With Mumble-Mumble birthday right around the corner, I can say one of the plans for the weekend is an epic visit to a Dae Gee, our local Korean BBQ. (Let me just say, I can’t believe I now live within walking distance to a Korean restaurant as, when I first started this Korean adventure, I wasn’t within a two hours drive to a Korean restaurant.) Since I’m counting down some of my favorite things, food has to be somewhere up near the top! 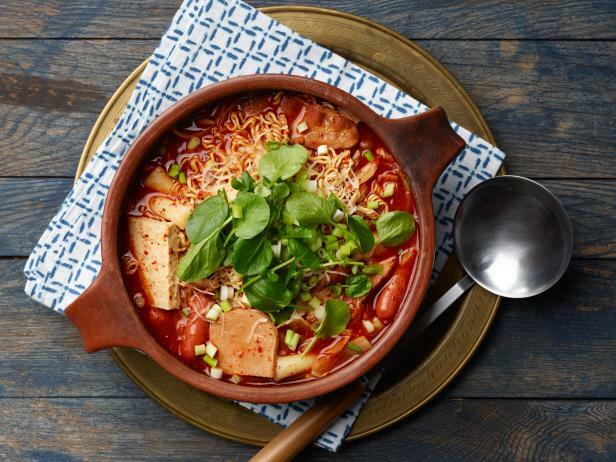 Kimchi Jjigae. 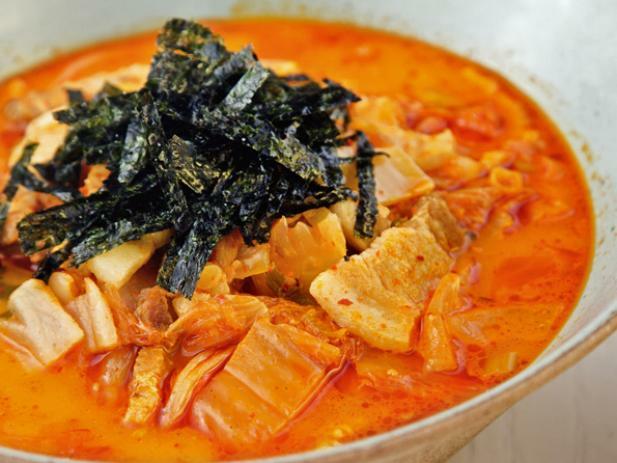 With a site called Kchat Jjigae, wouldn’t it be a super-duper shame if I didn’t love Kimchi Jjigae? It’s one of the few Korean foods that I have down, meaning I can make it without a recipe. It will also have a warm space in my heart as it was the first real Korean food I ever ate. Mmm… Side note though, if you have a non-kfan roommate, maybe you don’t want to cook this while they’re at home. It’s a smell only a fan could love. Banana Kick Banana Snack. How does one describe Banana Kick Banana Snacks? Banana Cheetos. Like the poofy ones? Feeling hungry yet? This snack is not for the faint of heart. It’s not really natural, it’s not super awesome, but it’s one of those things where, once you start, you really can’t stop. Especially once you consider that weird aftertaste. Sometimes you can find them dipped in chocolate, but the chocolate isn’t necessary for this weird addiction. 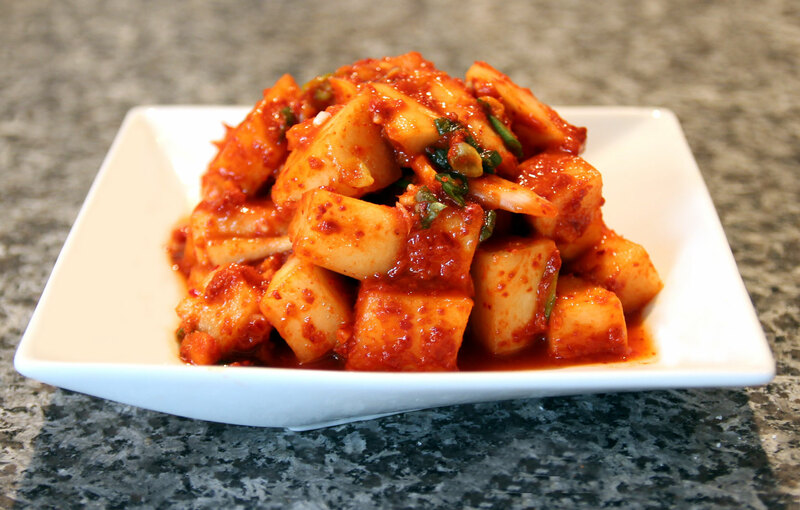 Ddukbokki. These spicy rice cakes are super, and I mean SUPER easy to make. And I make them so well that whenever we get together and talk about doing Korean food, I’m tasked with making it —which doesn’t bother me any, because YUM. So Yum. I like mine with an egg and covered in cheese. It’s one of those things though, that I never order in a restaurant because…why? Mine is so good! 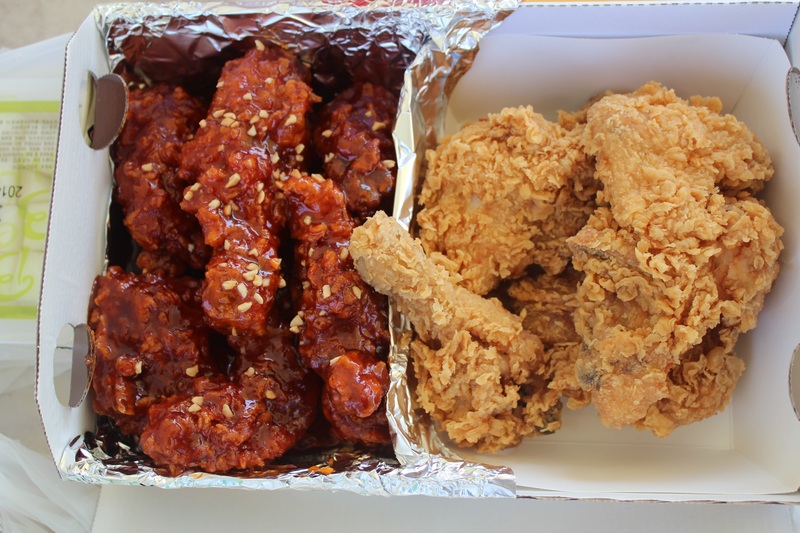 Korean Fried Chicken. Speaking of fried chicken… you wouldn’t think that there would be a difference between US friend chicken and Korean fried chicken, but there is! The batter or the sauce just makes you keep on eating it…even when you know you have a big order of Army Stew coming. There are actually a bunch of options for Korean chicken here in Denver, and I can’t wait to use that shiny new driver’s license to go to them! Yuk Gae Jang. 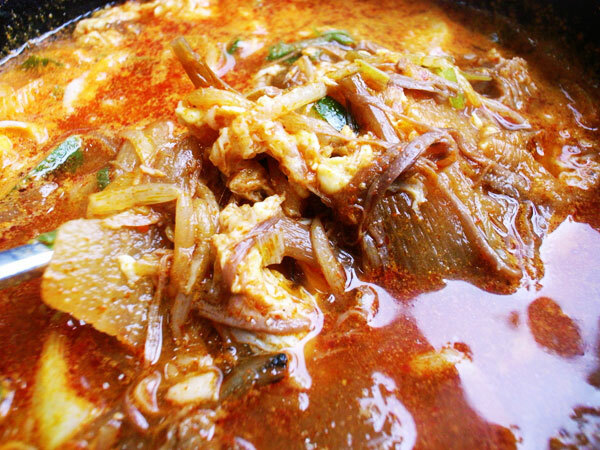 I’ve come to realize that most of my favorite Korean foods are stews! This one is a spicy beef and vegetable stew with glass noodles. 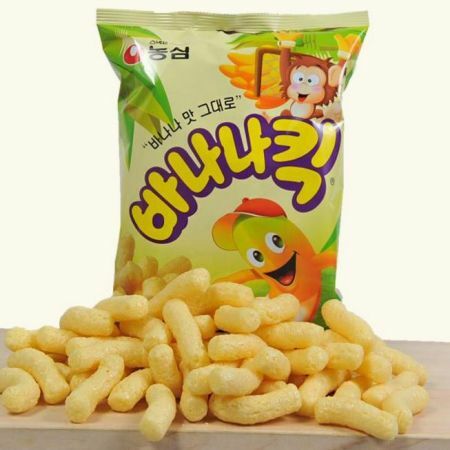 I used to get this from the Korean Food Court all the time. It’s my go-to I need to make a freaking decision and order something already dish. It’s good to have a favorite dish like this so you can use it to gauge the quality of the food at a new restereaunt. 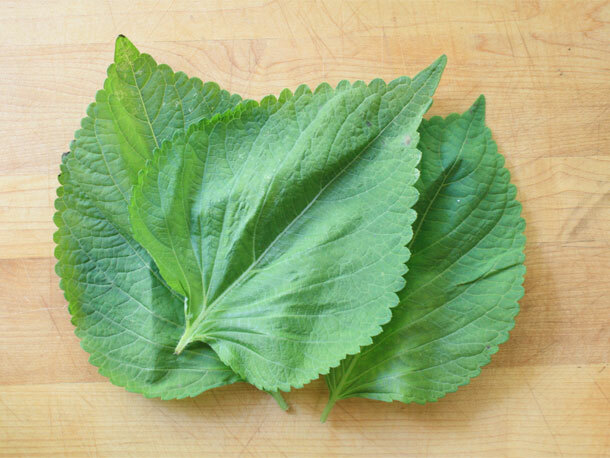 Perilla Leaves. I did not think I was going to like these leaves! You eat them with Korean BBQ, wrapping it around the meat. It’s hard to describe the taste, but it’s a little tangy and just adds something mmmmmm to the BBQ. Most US restaurants bring you regular lettuce for wraps, so we’re planning on packing our own this week. Nope, we aren’t some run of the mill Korean BBQ eaters, we know what’s what! Bibim Naeng Myun. Oooh this one just gets me excited! There is nothing I like better on a hot day than Bibim Naeng Myun, or spicy cold Korean noodles. When I used to get it in New York? It would actually come with a giant chunk of ice in it. Bits of cucumber, mounds of spicy cold noodles, slivers of beef, and a hard-boiled egg? I’d love to try and figure out a recipe to try this at home….though maybe not because summertime in Colorado is HOT and I’d be eating it all the time. 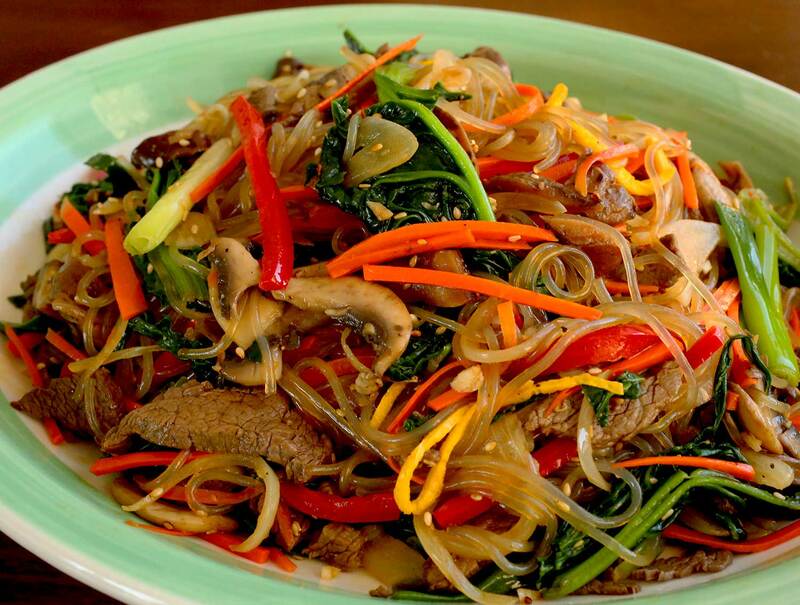 Japchae. This is a dish I just can not get right when I try to make it at home! And I’m not sure why as it seems so simple. Sweet Potato Flour noodles sauteed in veggies and sesame oil, what could go wrong? Turns out? I DON’T KNOW! I just know it’s wrong and it bothers me because I love this dish! Oh my goodness, I love Korean food and I’m so excited to think I’m going to be eating it in Korean in just a matter of months! Ooh! I’ve tried and liked almost everything on your list! Well, except the banana puffs – that does sound kinda weird, haha! 😛 Enjoy all the Korean food on your birthday, since that’s what birthdays are for 😉 And congrats on the new driver’s license!